Ever Dreamed Of Publishing Your Own Content And Getting Paid For It? Now You Can! Start Living Your Dream As An Established Amazon Author! Product Summary: "It's no secret, every online marketer is talking about it...Amazon has taken over the publishing industry and allowing opportunities to people who likely never would have dreamed of writing and releasing their own content! The Amazon juggernaut has never been so easy to utilize for those who dreamed of creating their own passive income stream. Thanks to the power and popularity of Kindle, anybody and everybody who can lift a pencil and put an idea to a notepad is ready to make their mark online! Many publishers, entrepreneurs and marketers are making a killing developing and releasing their content for the Amazon Kindle. If you're still unaware, the popularity of Kindle has skyrocketed in a very short amount of time. More and more people are doing away with physical books and are now firing up their e-readers and purchasing eBooks online. Many people with zero marketing ability and no reputation have gone on to become incredibly successful by releasing their own content. What makes the Amazon publishing system so fascinating is that these same people are writing their own cheques thanks to the power of Kindle. Even those who are barely able to turn on a computer are discovering a super simple system which requires nothing more than their own imagination. You too can become a part of the massive Kindle book publishing revolution and start creating your own passive income and making your own name in the publishing industry. 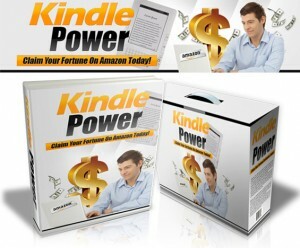 With this brand new guide "Kindle Power", you will see just how powerful this system is and how quickly you can start depositing cheques."